I have to tell you, I'm as girlie girl as they come. Give me an excited, beautifully beaming bride and a handsome, gallant groom surrounded by hundreds of adoring family and friends in a gorgeous space decorated to the Nth degree and you'll find me hopping along with the happiness all day long. But...can I also tell you how much I absolutely adore and am totally smitten with small, intimate weddings? There is just something so magical about a tiny little wedding, where every person there is on your "favorites" list in your phone. 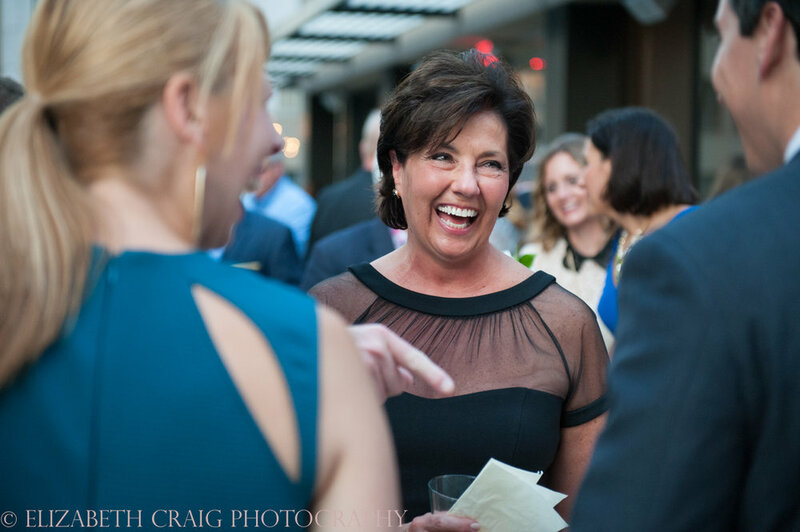 The warmth, closeness and emotion at those weddings always seem to be so much more present. I'm not saying that big weddings aren't jam-packed with those things as well, I'm just saying that I think you have more time to allow the day to fully envelop you in all its glory when you don't have 300 hands to shake. But I'm biased, to be honest. John and I went to Vermont to get married. Just the 2 of us, a photographer and the minister. We stood in a beautiful historic farmhouse and within 15 minutes we were married. I always thought I might regret not doing something even a bit bigger...but I haven't. Not ever, not once. We had a bitty reception (really, a dinner) when we got back. All of it was pure perfection. This is why I live vicariously through my brides. I had an itty bitty teensy weensy wedding, but I can get my jam on at any wedding because they are all filled with so much love, fun, tears and an overwhelming amount of joy, no matter the number of people in attendance. But this shout out is to the little things that count today. It's not about quantity, it's about quality. If you have that, your life will always be filled to the brim. This wedding is a fantastic example of that, as you can see. 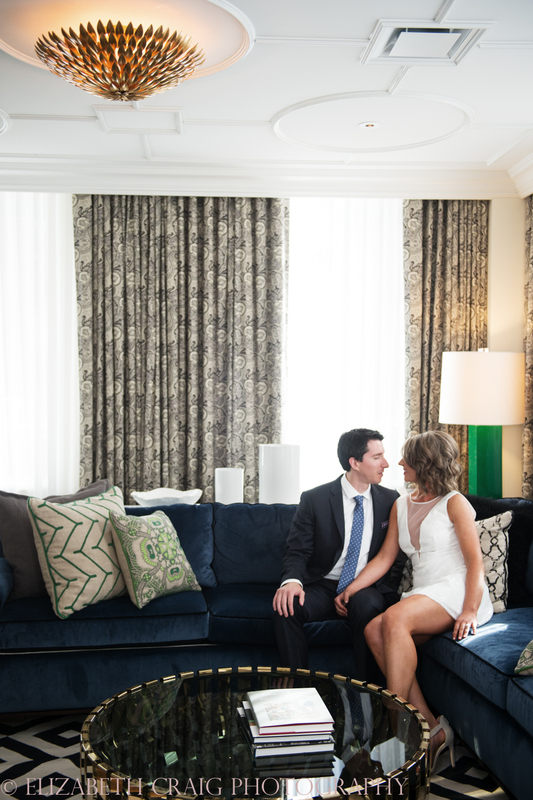 The wedding took place on one day with the couple and each parent set only at the gorgeous Mansions on Fifth Hotel. Then the bride and groom took off for an extended European honeymoon. 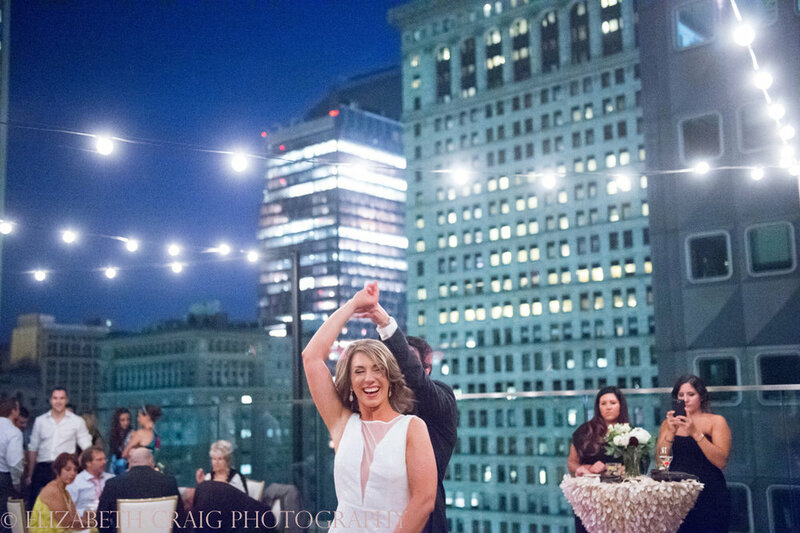 When they came back, we had ourselves a blast at their reception at the stunning Hotel Monaco. I don't know about you, but 2 wedding events sure beats one!